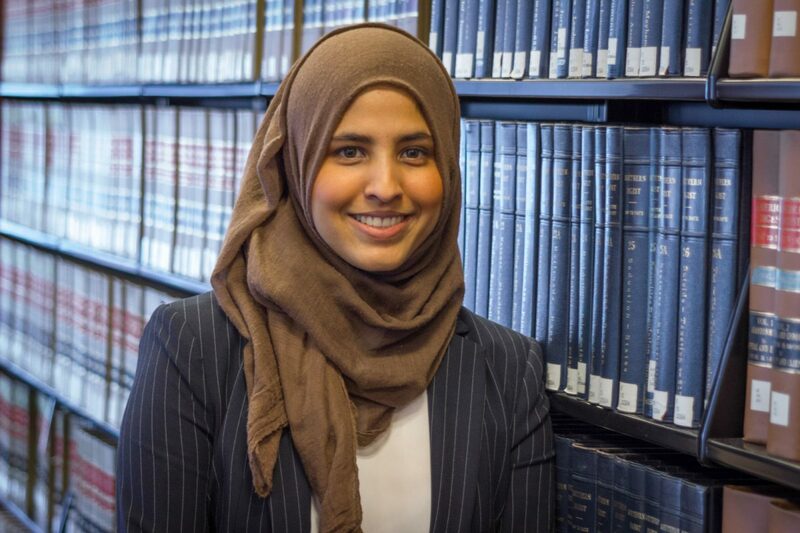 Since 2016, she has also used her 711 license to serve as a law clerk in the Cook County State’s Attorney’s Office and now in her position at the ARDC: Attorney Registration and Disciplinary Commission of the Supreme Court of Illinois. 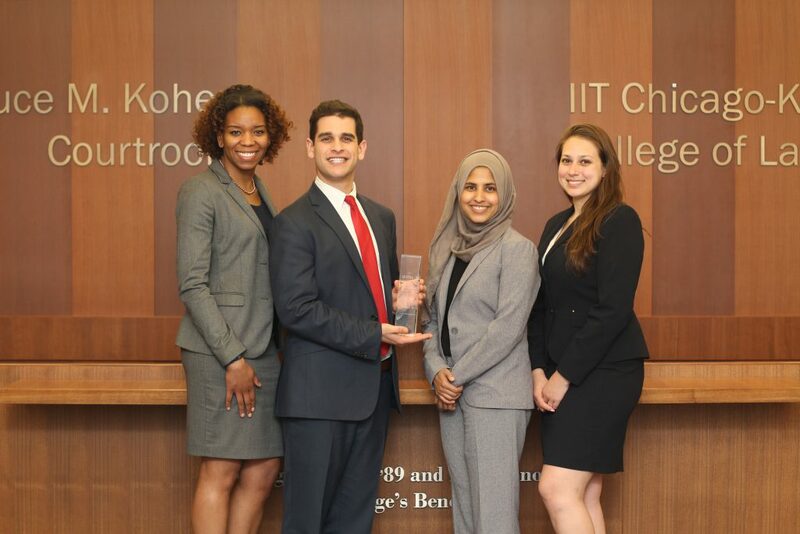 Shahina’s team with their award after winning the Chicago regional championship of the 2018 American Association for Justice Student Trial Advocacy Competition. Law is one of the few professions that encourages a way to find truth and help victims of crimes. I have always wanted to do something where I can work closely with victims and help them get justice. What drew you to Chicago-Kent? Chicago-Kent advocated diversity, and I wanted to attend a school that made me feel welcomed. When I visited Chicago-Kent for an open house, I felt welcomed and I loved how much diversity was encouraged. What professors and programs at Chicago-Kent have confirmed or changed your goals? I have two professors who have positively impacted me. One is Professor Piatt. She was my Torts professor, and she ignited a passion for civil litigation that I did not know I had. I may, eventually, practice civil law. Another professor that affirmed my goal is Professor Bailey. She taught Criminal Procedure, and she made me want to continue pursuing criminal law — I am now pursuing a Criminal Litigation Certificate. I highly recommend everyone either to take trial advocacy classes or to try out for the trial team. The advocacy and litigation skills that I have gained because of Trial Advocacy are priceless! I can walk into any courtroom and litigate without getting nervous or being clueless. What made you want to get involved as a student leader? I have a great passion for criminal law, and I wanted to aid law students in finding opportunities in different areas of criminal law. 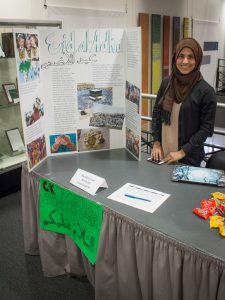 Since I am a Muslim American, and a huge advocate of diversity, I wanted to be part of MLSA’s Executive Board and collaborate with other organizations and bridge the gap between the Muslims attorneys and Muslim law students. As a student leader, I want law students to know that it is possible to achieve any dream, as long as you work for it. 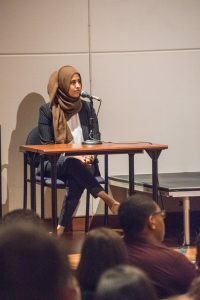 As an immigrant, I knew I had to overcome several hurdles to achieve my dream of becoming an attorney. I did not let my baggage hold me back. I want others to know the same. I can speak three languages fluently—Urdu, English and Hindi. I absolutely love chocolate milk! I am an avid reader. I love to read and spend time with my family and friends. I believe the best way to enjoy Chicago is to try every restaurant and coffee shop. You haven’t really enjoyed Chicago till you try all the food and coffee it has to offer.